Learn the Science Behind Better Business with Lauren Kress, The Business Scientist. Each week Lauren speaks with industry leaders and business experts to debunk growth myths and bogus strategies that remain prominent despite the evidence. Our goal: to arm you with the meaningful insights that matter for your business success. If the world was your oyster...where would you take your business? Hey there business leaders and change makers! I hope you’ve all had a lovely month. I really can’t believe we’re already in April. We’ve had some fantastic guests on the show this past month and it’s been fascinating to gain a deeper understanding of different perspectives from experts across a range of industries. We discussed everything from robots to employee retention and hooking your audience in with an engaging story that is relevant and meaningful to them. 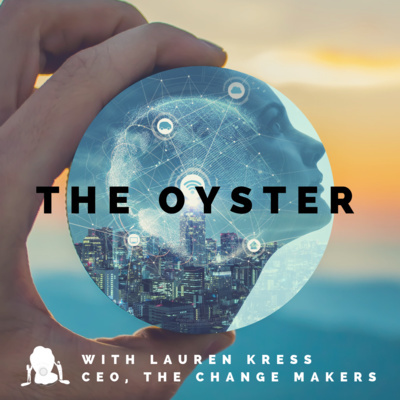 Listen to the highlights from March in this episode of The Oyster Rewind! Joining me today is Hamish Anderson, to talk about the myth of targeting the "low-hanging fruit" for your business growth. Hamish is the Founder of Three Piece Marketing and Mesh Consulting and is a perspective changer who likes to challenge the accepted, in search of a better solution. You can find out more about Hamish and the work he does on LinkedIn. Dr Marny Lishman is a Psychologist, Columnist, Keynote Speaker and Media Commentator. Marny works with individuals and corporate groups to promote personal and professional growth, and speaks on a wide variety of topics to promote mental health across Australia. You can find out more about Marny at https://www.marnylishman.com.au/ and read her columns on Body and Soul and Perth Now. What’s the MOST important aspect of marketing for your business growth - customer lifetime value, customer retention or customer acquisition? The answer is not a matter of opinion or guesswork - it's a matter of good science. Find out what the science says in episode 2 of #TheOyster Prefer to watch live? Catch the episode in real-time every week 7pm EST or 11am AEST on Facebook. This week we're talking about market penetration - how to make sure your brand is getting out there, getting noticed and being remembered by your potential customers. 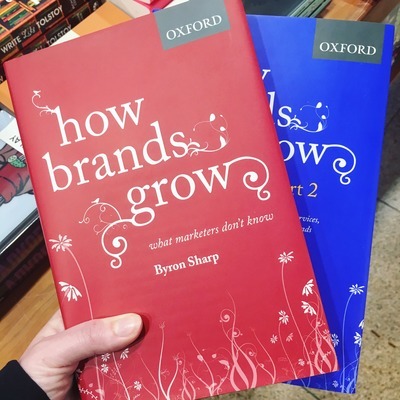 Based off the work of Byron Sharp in his book "How Brands Grow" the 7 things you need to do are: 1. Continuously reach all buyers of a category 2. Ensure the bran is easy to buy 3. Get noticed - make sure your brand is salient 4. Refresh and rebuild memory structures 5. Create and use effective brand assets 6. Be consistent 7. Stay competitive I'll also be exploring some of these concepts more in my lunch and learn session at MOBLE in Pyrmont this week on Thursday the 19th of April, 2018 at 1pm we're we'll be looking at how to create memorable associations with your brand and the 6 traits of sticky content. Tonight I'm talking about the importance of evidence-based marketing with the help of Prof Byron Sharp and his book "How Brands Grow" I talk through some of the laws shared in this book and the common assumptions trumped by marketers that are simply not backed by the evidence - things like "customer retention is more important than customer acquisition", and "our customers buy from us because our brand is special and different". Have a great Easter and I'll be back in two weeks time to talk about some of the strategies you can adopt to grow your business brand. Taking the leap - when do I start my business? What do business owners need to think about to get their 1st customer through the door? When you start out as a business owner, sales and lead generation can be particularly daunting. One of the big problems I see with entrepreneurs who are new to sales is that they think that in order to be a "good" sales person they need to push their product or service onto people. This is a common misconception of what sales is - what sales is really about is finding the people who need your help - and then talking to them about how you think you might be a good fit for what their needing. When we've talked about marketing where talking about making sure that your product or service meets the need of your target audience. When we talk about sales we need to think about how we deal with real prospective customers to make sure their specific needs are met. A good salesperson will work out how what your business does fits with what your prospective customer needs. So excited about sharing this episode with you tonight! This week we're talking about building out the very foundation of your business: Your Business Vision, Mission and Values. This is what we've been working towards over the past few weeks... In episode 2 we talked about finding your passion. Then, in episode 3, we talked about how to get to know your audience so we could start to find ways to commercialize your passion. This week, we're talking about: Your Vision - why does your company exist - where is it headed? Your Mission - Who are you and what do you stand for? Your Values - What are the core principles that will guide your behaviour and the behaviour of others who work with you? The book I refer to in tonight's episode is "Small Business, Big Vision" by Adam Toren and Matthew Toren. This week's question is: "What steps are you taking right now to start your business?" Leave your comments below and let's get talking about starting a business. Following on from episode 2 on why your "WHY" is so important, I delve into getting to know your audience in order to commercialise your passion. My 3 practical tips for market research will help you get to know your audience - preferably before you even think about starting your business. These are: 1. Find out if there is a market First consider some broad, basic questions. I recommend using Josh Kaufman's market research checklist from the Personal MBA you can access online here 2. Blog about it first Experiment with content to start building an audience. I recommend reading Austin Kleon's book Show Your Work to understand more about how sharing what you're doing with the world will help you build an audience and iterate your work. 3. Know what results your audience value What results do your audience want that you can offer? A great book to read to understand the power of a audience + results-driven approach to marketing is Absolute Value by Itamar Simonson & Emanuel Rosen Also...I talk about building personas of your prospective customers that consider their mindset, drivers and motivators. Australia Day SPECIAL How to win friends and influence people: The worlds first EQ book? Tonight's 'Straya Day special episode is about Dale Carnegie's global sensation of a book: How to Win Friends and Influence People. With over 16 million copies sold, I dig into why this book, written in 1936, continues to be a bestseller 80 years after it was first published. In just over 15 minutes I cover many of the key principles of the book looking at each section and discussing how this book was way ahead of it's time. I wanted to feature this book early on in my series as I think it is an important book for combatting bullying in the workforce - instead emphasising the importance of being genuine, kind, friendly AND using this to thrive in your career. In fact, I am of the opinion that this book is the first book on emotional intelligence - published way before we recognised EQ as a "thing". It also shows that the whole "authenticity" buzz word that brands have been throwing around for the past couple of years ain't new. In fact Carnegie humanises sincerity and authenticity, in a way that quite ironically, publishers of content on "being authentic" in articles like "the social media trends every brand must know" do not. I will be back again soon on Monday night with Episode 3 on "It all starts with your audience". Leave a question for my next episode on market research and understanding your audience in the comment section below or on instagram or twitter @laurenkress89 and I'll answer it during my next episode. So many entrepreneurs talk about finding your "WHY?" but what do they mean by that, and why is it so important? Starting a business isn't for everyone and asking yourself "what should I do with my life?" is the first step in thinking about the direction for yourself and your potential business. The last thing you want is to be stuck working your arse off towards a goal that you actually, when it comes down to it, have no desire to achieve (!) In this second episode I talk about the first step of starting your business and why your "WHY?" is so important. For me, the first step really boils down to thinking about it like this: if money wasn't an obstacle - if you had enough money guaranteed for the rest of your life - what would you do? This is where the question "what should I do with my life?" needs to come from - from a place that is about your happiness not making a quick (or slow) buck. Once you have your reason for starting a business you're able to set your business vision as well as your short and long-term goals towards living the life you desire - not the life fashioned for you by others.